How clean are your clothes? 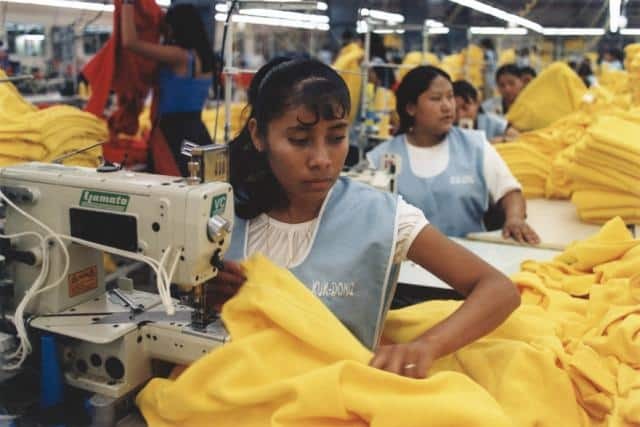 The Perspectivity Garment Game promotes Fair Wages in the Textile Industry. Help us develop the Game by giving us your vote! Perspectivity is participating in the Living Wage Innovation Challenge organized by the C&A Foundation and HiiL (The Hague Institute for Innovation of Law). Our entry consists of the Perspectivity Garment Game followed by a Future Search conference to create awareness, encourage dialogue and create coherent action amongst all stakeholders to work on a whole sector transformation to achieve fair living wages. The Perspectivity Garment Game will be modelled after the original Perspectivity Game, also known as the Climate Game. The Garment Game will allow players to experience the social dynamics in the complexity of the garment industry. It will put participants in the shoes of the key stakeholders and make them deal with the real life issues such as growth spurts, limited resources, international negotiations, downturns and conflicts. The game will be used as a tool to build awareness of this complex issue and to kickstart the conversation about achieving fair living wages and consciousness of a whole system approach. It will be followed by a powerful reflection, debrief and a Future Search dialogue conference. Playing the Garment Game will be a first step to break through the mental barriers that inhibit a paradigm shift towards realizing living wages. No more hidden messages stitched into garment labels! Vote for Perspectivity’s approach to change the minds of stakeholders in the garment industry – http://www.innovatingjustice.com/innovations/serious-gaming-for-better-waging. Your votes could have an influence on underpaid workers and you can help improve the working lives of millions of people in developing countries. And please feel free to share this message with all of your friends so they can vote too! Support us – help them! Picture made by Melissa Orton, Creative Commons.